From watching makeup tutorials to trying every hack you can find – you’ve tried it all when it comes to creating the perfect winged eye-liner; but the one thing that you haven’t tried yet is Lyda Beauty’s Cleopatra Cat Eye Stamp – aka the greatest life-saver… ever! We all know #thestruggle when it comes to acing an on-point winged eye-liner, but you can now say buh-bye to mess-ups and say hello to the greatest winged eye-liner look you have ever seen. The Cleopatra Cat Eye Stamp is an absolute power tool. The product, which was created by beauty guru and makeup genius Lyda Fischer, includes a cat-eye stamp applicator, a fine-tip point and a liquid eye-liner all in one. 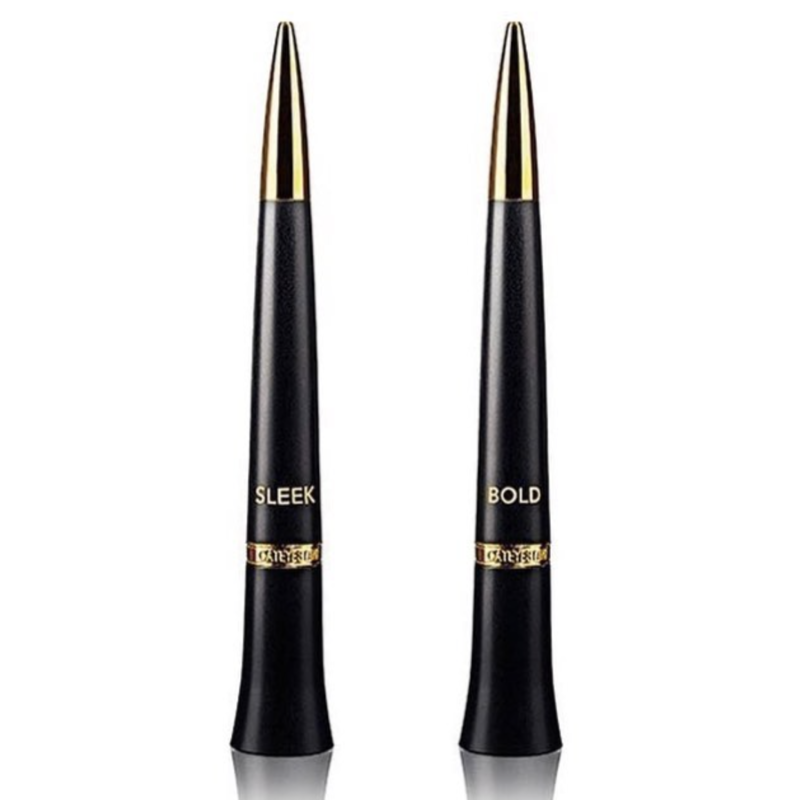 All you have to do is apply the cat-eye stamp, located on one end of the tool, to start your look. Then, use the fine-tip point, located on the other end, to create the rest of the cat-eye shape and outline your lid, then voilà… you have your cat-eye look in under 60 seconds! It’s hard to believe that one product can create a fabulous winged-eyeliner so effortlessly, but Lyda Fischer truly made the impossible, possible. Hey, not all heroes wear capes! Fischer teamed up with film producer Giovanni Agnelli and Daniel Rossano to bring rise to Lyda Beauty. Since then, renowned makeup artists including Robin Mathews and Glenn Nutley have been some of the many who instantly became mesmerized by the Cleopatra Cat Eye Stamp. It goes without saying, the Cleopatra Cat Eye Stamp is truly a revolutionary beauty product. As someone who has always had a hard time creating the cat-eye look and has even been hesitant to try the cat-eye look because of the many failed attempts I have had, I can’t express into words just how remarkable this product is. ya girl FINALLY learned how to do a winged eye-liner thanks @lydabeauty’s #CleopatraCatEyeStamp – thanks for sharing this fabulous product with me! ✨💋👀 it’s a beauty must-have. The Cleopatra Cat Eye Stamp is available in two sizes: bold and sleek; and is available for purchase online here and launching in major drug store chains. The Cleopatra Cat Eye Stamp is definitely the beauty product that is at the top of everyone’s wish-lists and with Valentine’s Day coming up, it’s the best gift to give to your girlfriend, your wife or your best gal friend for Galentine’s Day! Next VIPAccessEXCLUSIVE: “The Orville” Star Kai Wener Talks About What He Has Learnt From Creator Seth MacFarlane And More In His Interview With Alexisjoyvipaccess!